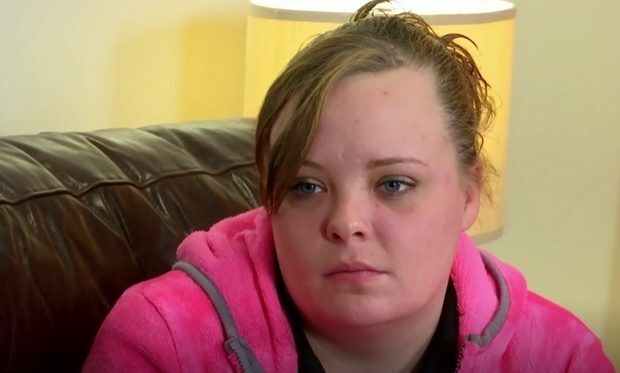 On the Teen Mom OG episode “Blue Christmas,” while Tyler and Catelynn Baltierra go snow tubing together, just the two of them, Maci Bookout’s ex Ryan takes out his girlfriend Mackenzie on a surprise date. In his pickup truck, he drives them to the Southern Belle, a former steamboat turned restaurant/banquet hall. When they arrive, they’re shown to a romantic table for two. The table is decorated with red rose petals and an ice bucket full of champagne. When Mackenzie says “You did a great job,” he says, “I know I did. I even got four bottles of champagne.” But then he’s disappointed to see that the bottle are small. After dinner, Ryan tells Mackenzie, “I want to ask you something” and pulls out a small piece of cloth. He doesn’t propose marriage first. Instead he asks, “You want to see it?” She asks “What?” and then he flattens the cloth on the table and reveals a diamond ring. He says “It’s a ring” and then tells her “Stand up,” which she does. He then gives Mackenzie a play by play of the plan. 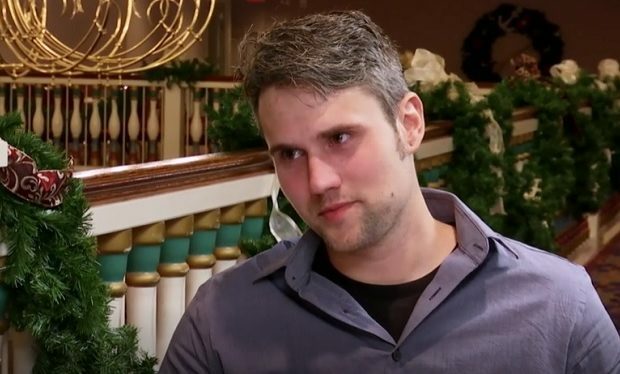 He stands up and says, “I’m going to get down on one knee.” He does and then asks her to marry him because “You’re the most special girl I’ve ever met.” Teen Mom OG usually airs Mondays at 9pm on MTV.